From the author of the beloved Itsy Bitsy board book series comes a fire fighting adventure all about fire trucks. 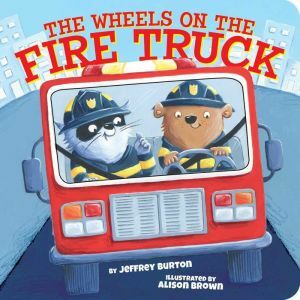 An action-packed yet adorable story, The Wheels on the Fire Truck is the first book in a new series that is perfect for parents and little ones who love things that go. Follow the fire truck around town as cuddly animal firefighters run the siren, hold on tight, and save the day!